It has been a while, but here is the latest edition of the Stampede’s Street Charts featuring only the best dancehall and reggae music and artistes. 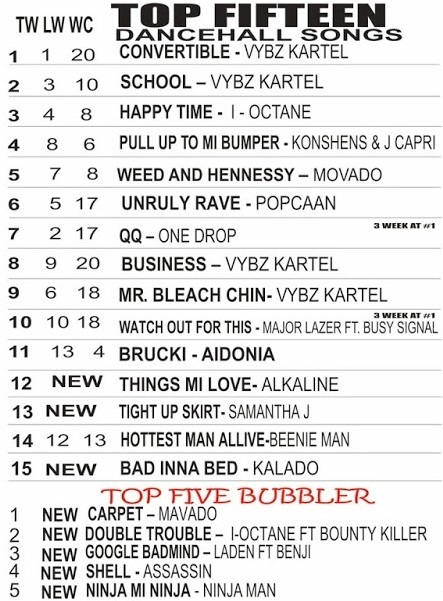 This week Street Charts roundup: Jah Raine is featured as hot new artiste to watch, Nadera is featured as female artiste to watch. Third Gear is featured as new reggae artiste to watch while Chronixx remains at the number one reggae spot with the hit single ‘smile jamaica’. 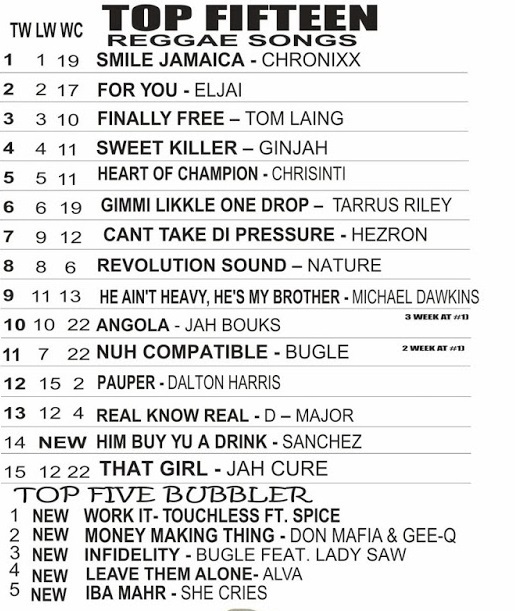 Vybz kartel remains at the number one dancehall spot with his hit single ‘Convertible’. This weeks featured single of the week is Jah Raine with ‘Treat You Right’ produced by Universal Linkz. ← Kartel Trial: Cop Secured Bloodstains at Havendale house.